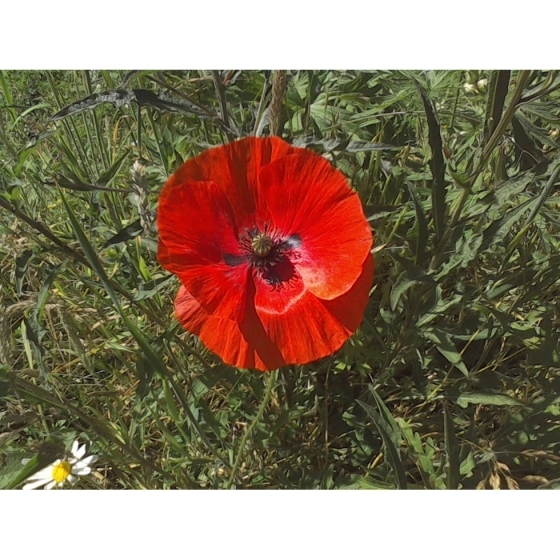 CORN POPPY seeds (papaver rhoeas) from Wildflowers UK. Corn Poppy - Papaver rhoeas- is a familiar annual wildflower that traditionally grows in Cornfields. The deep red flowers appear in mid-summer and look best growing in full sun with other annuals such as Cornflowers, Corn Marigolds or Corn Chamomile which will give the plants some support. 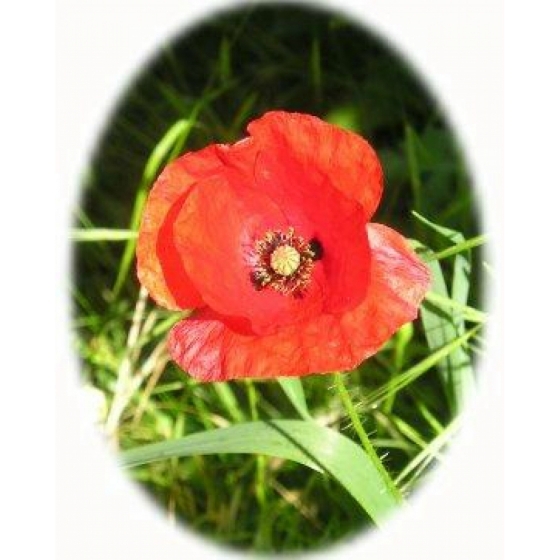 Alternative Names for Corn Poppies include Common Poppy, Field Poppy, and Flanders Poppy.. It is best to Corn Poppy seeds outside in the autumn directly outside where the plants are to flower, and onto bare prepared soil. The seeds will benefit from the cold of winter and germinate the following spring. It is important not to sow Corn Poppy seeds too deeply as they also require some light to trigger the germination. In the wild seeds can lie dormant for many years when they lie deep beneath the soil and then will often germinate in mass when the soil is disturbed eg. by ploughing and they are bought to the surface. For the same reason it is critical to disturb the soil every autumn if you wish to encourage Corn Poppies to re-establish from their own seed. 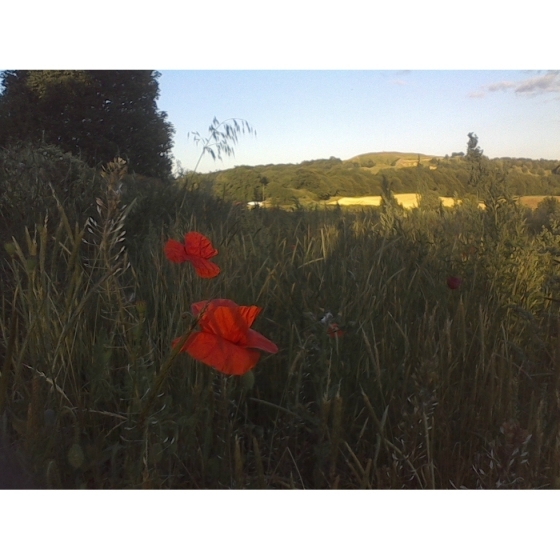 Unfortunately it is not possible to introduce poppies to meadows that already contain established meadow grass. The grass will only act as a barrier to the poppies and prevent their successful development. 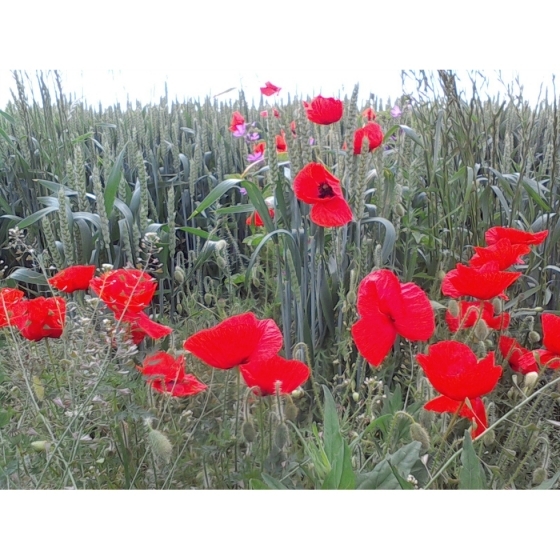 To purchase Corn Poppy seeds, please select a quantity above and click add to cart. To ensure the best chance of success, we sell all of our wildflower seeds by weight, which ensures each wildflower seed packet contains a good quantity of seeds. The recommended sowing rate is 1 gram per square metre, and the number of Corn Poppy seeds per gram is approx. 11000. All of our Wildflower seed packets contain seeds of Native British provenance.